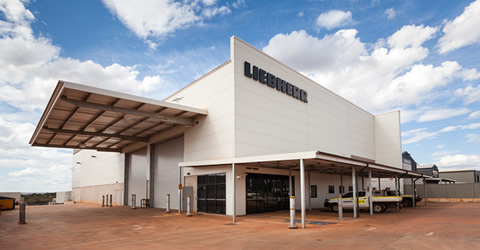 Construction of a new 1,500m² warehouse and two-storey office facility for Liebherr Australia Pty Ltd with 2,000m² of hardstand around the building. 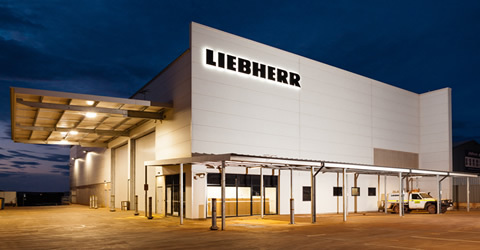 The warehouse complex is a new parts storage facility for Liebherr’s Mining equipment including diggers and shovels. 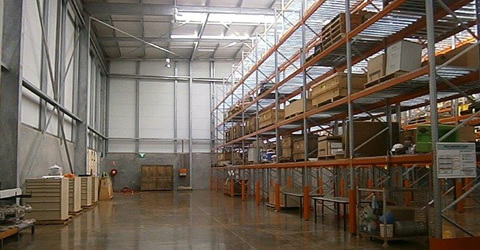 The internal clear height within the warehouse is 12.6 meters to allow for 9 meter high pallet racking. The building was constructed on the title boundary and to comply with the regulations of the Department of Fire and Emergency Services, one full side of the building had to be constructed using a 4-hour fire rated Hoersch Panel imported from Germany. Other parts of the building were clad using Kingspan Insulated Panels. These panels provide both quality performance and architectural appeal. To comply with local statutory requirements, a 250,000L water detention tank needed to be installed to supply water to the fire hydrant system.